This is every Spaghetti child’s chance to shine! Please save the dates for our annual fundraiser community show. 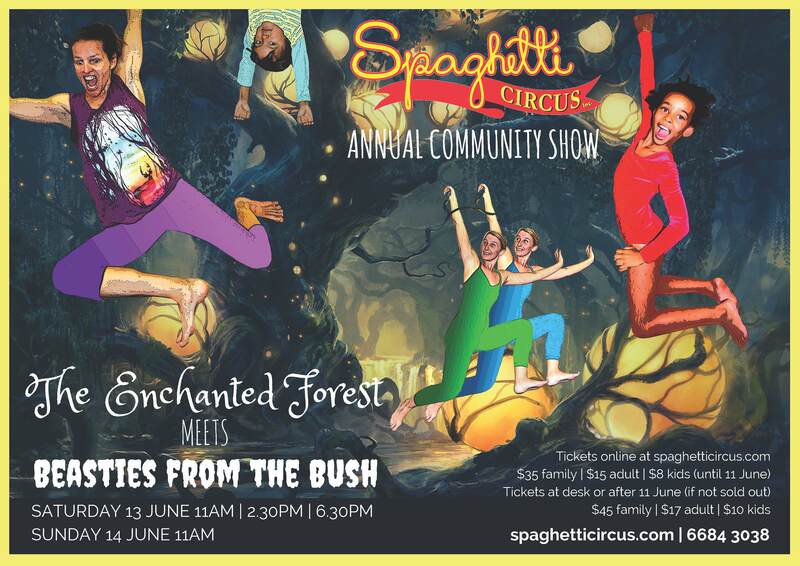 Each child attending Spaghetti is invited to perform in these exciting shows. Check out the schedule below to find out which show your kidlets will be performing in, and to book tickets for family and friends to come and see them work their magic. Tickets are now available online (click the button below to head straight to the ticketing site). $35 family, $15 adult & $8 kids when purchased online until 11 June. Tickets purchased at the desk or after 11 June (if not sold out) are $45 family, $17 adult & $10 kids. Please check the following schedule to find out which shows you or your children will be performing in.